WASHINGTON—Saying the outing was a well-deserved treat for laboring on President Trump’s upcoming State of the Union address, senior policy advisor Stephen Miller reportedly rewarded himself Tuesday with a trip to see all the children at a local ICE detention center. “I’ve been putting in some pretty long hours, so it’s nice to unwind a little at the Immigration and Customs facility watching all the kids held indefinitely in federal custody,” said Miller, who stopped outside a cramped 6-by-8 cell to smile warmly at a set of scared, parentless 7- and 8-year-old Mexican siblings, adding that the tear-streaked faces filled his heart with joy. “It’s so gratifying see those trembling little chins and reddened eyes filled with palpable fear. I love listening to those tiny whimpers and sobs. So cute. God, this place is amazing. 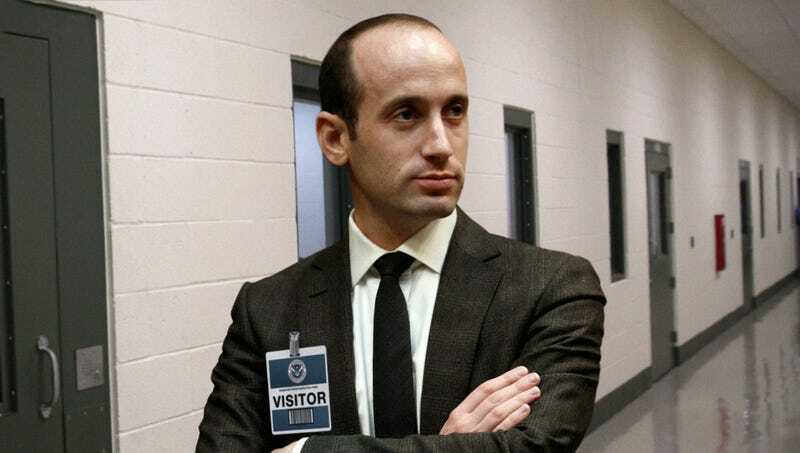 I really haven’t had this much fun in a long time.” At press time, a reflective Miller was fondly recalling that unnecessarily detained, mistreated immigrants were the reason he got into politics in the first place.